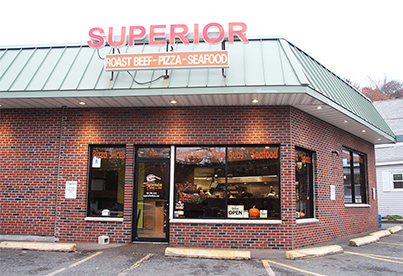 At Superior Roast Beef~Pizza~Seafood we serve delicious roast beef sandwiches, pizzas, seafood, salads and much more! We have been voted the Best Takeout Restaurant in the Greater Lynn Area! Come in and enjoy our excellent food and great service!